We met this morning for another round of training. 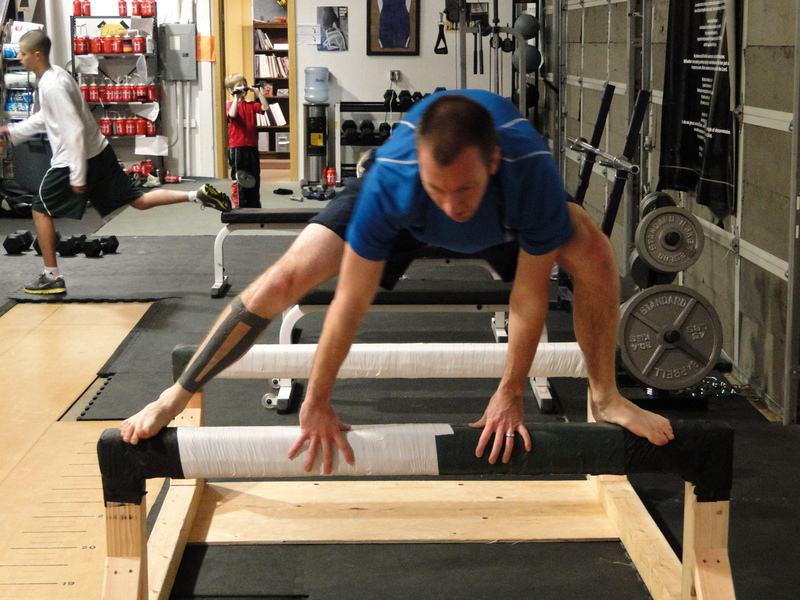 Similar to last week we focused mostly on building up a muscular system that promotes a strong durable stride. It was early but the guys still worked hard and loved the back to back combination of Standing Front to Back Lunges then straight to Back Foot Elevated Lunges. Here are a few pics of the guys working out this morning. 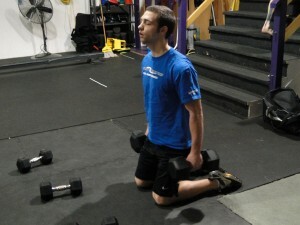 Loren doing some weighted Hero Squats. Loren is joining us right now for these sessions as part of his training for the spring track season. Also as one of the Runwithpower trainers he ran the majority of the workout today. Aaron found some time in his baskektball schedule to come over and train. His basketball season is over in a few weeks so he is excited to start working towards his Spring track season as well. Jason decided to go barefoot for this one. We decided that this also meant he should have to run the first leg of the race which is a brutal downhill at the Top of Mount Hood for several miles barefoot as well. Knowing him, he just might try it! In the next few weeks will continue to work on this style of muscle training to develop some very powerful and efficient strides. We will be doing some early season bench mark runs coming up in February as well. Many of our guys are already in decent running shape. Josh is of course well into his training for the Boston Marathon so he could run circles around most of us right now. Well some of us anyway. We will update again next week.